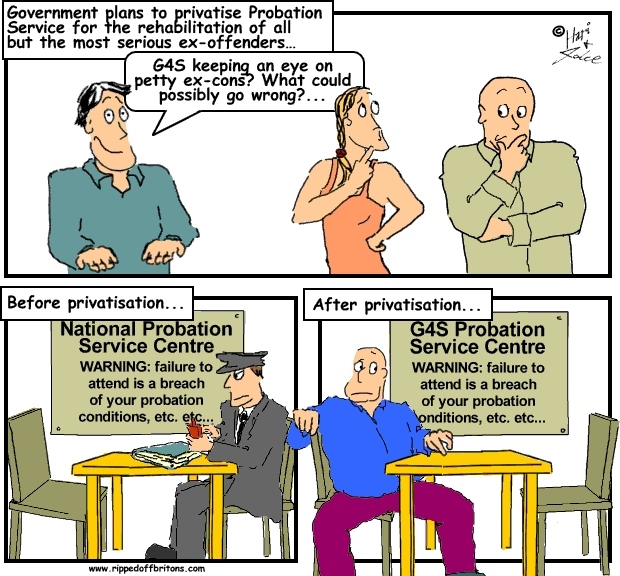 The justice secretary, Chris Grayling, wants the wholesale outsourcing of the probation service. Private companies and voluntary sector organisations will take over the rehabilitation of the majority of offenders by 2015. He denied that it was a quick-fix to save money. The public probation service will be scaled back to deal with only with the most dangerous offenders. The majority of services will be contracted out on a payment-by-result basis. “It creates a world where innovation will flourish,” said Grayling.